On the second floor of Wenonah High School in Southwest Birmingham is a commercial kitchen with appliances seen only in professional settings: convection ovens; large gas stoves; steamers; a deck oven for baking pizzas; a commercial mixer, fridge, and freezer; a griddle; and a salamander heater, which sits on top of the stove. Inside the kitchen, students season a variety of foods to perfection and measure ingredients properly to meet a deadline. 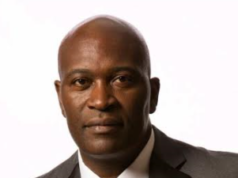 They are preparing for the 14th Annual Unity Breakfast on Friday, Feb. 24, where more than 800 guests, including special guest speaker the Rev. Al Sharpton, will be served. 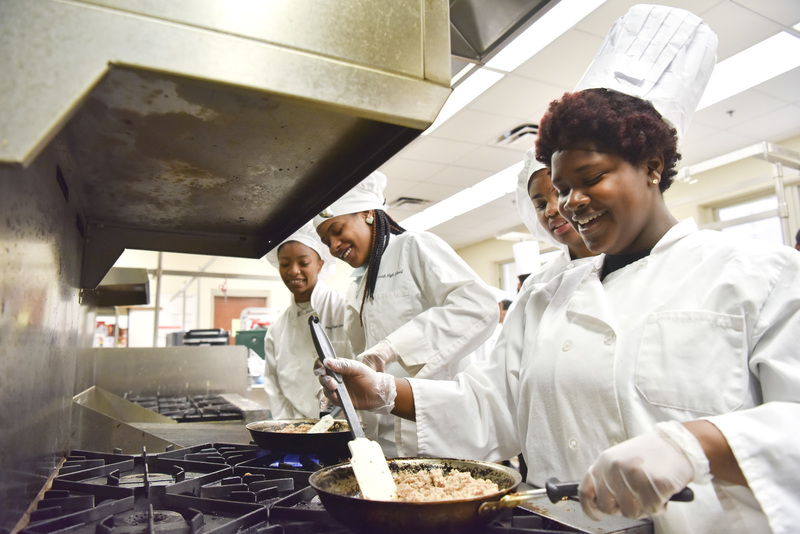 On the morning of the breakfast, students will arrive at school by 4 a.m., said Diann Pilgrim, who directs Wenonah High’s Academy of Hospitality and Tourism (AOHT). “The whole week, we’re actually preparing for the breakfast. We go in the day before to put tablecloths on and set the tables, to set up for serving our food, and to decorate—we do our own centerpieces,” said Pilgrim, who has been a Family and Consumer Sciences teacher at Wenonah High School since 1988. 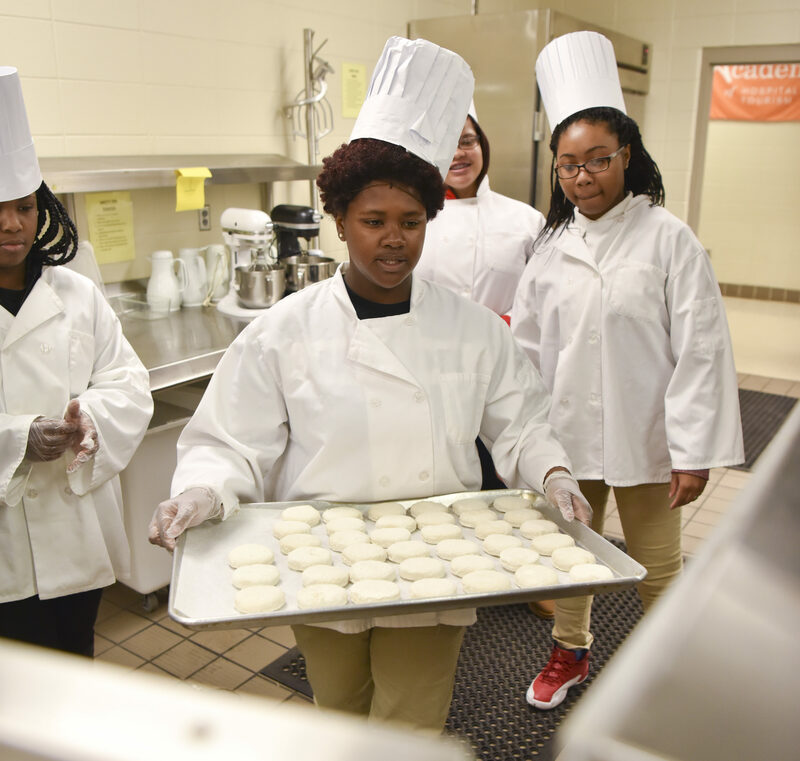 The lauded culinary arts program—which has earned several state medals in competitions, including one from Culinard, the Culinary Institute of Virginia College in Birmingham—involves much more than preparing for the annual breakfast. 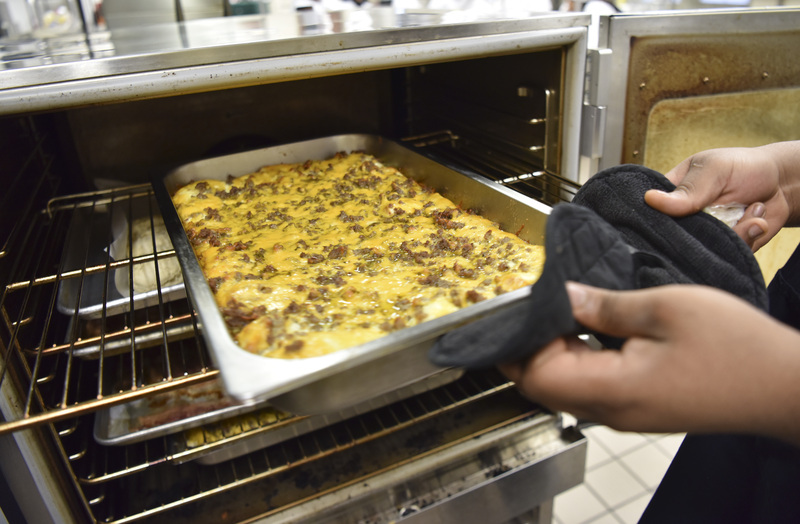 Throughout the year, students make chicken Alfredo, homemade pizzas (for which they prepare their own dough), red velvet cake with cream cheese frosting (from scratch), quiche, twice-baked potatoes, and other dishes for various events. The students also complete a lab, during which each group makes different types of salads, such as seven-layer, Caesar, and pasta. The AOHT ensures that students get a well-rounded curriculum on the hospitality industry. Freshmen are taught an understanding of the business world. Sophomores are introduced to industry principles. Juniors begin cooking and participating in internships with local hospitality and tourism businesses. And seniors learn about the finer points of culinary arts to advance their career-building skills. Students also take field trips to area businesses and events. Aaron Harris, a 17-year-old junior got to meet former White House Pastry Chef Roland Mesnier in October, 2016 at The Club, one of Birmingham’s most renowned social and dining establishments. 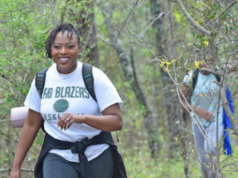 Students get experience by working at various locations, including Ross Bridge, the Sheraton, the Westin, Embassy Suites, the Birmingham Zoo, the McWane Center, and the Crossplex. Senior Breanna Jordan, 18, said she was offered a restaurant job during a conference at the Harbert Center in downtown Birmingham. “Because I am able to say ‘I’m a culinary academy student,’ more people have been willing to hire me,’” she said. This fall, Jordan will attend the University of Alabama, where she plans to earn a degree in chemistry. Afterward, she plans to attend Auburn University to receive a degree in pharmacy and then attend a culinary institute to become a pastry chef. Jordan said she has enjoyed learning new recipes in the academy, and often cooks for her family now. “I learned how to make quiche, and I make it for my family all the time,” she said. The AOHT has helped students in other ways, too. The academy introduces students to different types of career fields, Pilgrim said. Even if students don’t enter the hospitality field, the AOHT program provides valuable life skills. 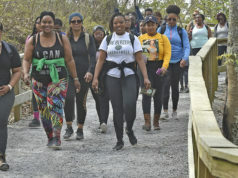 “Now they can cook for their families or cook for themselves in college, and they know how to cook healthy food,” Pilgrim said. “We try to do baked chicken tenders instead of fried. We show them that there are healthy ways to make traditional dishes. What they learn through the AOHT is beneficial in other classes, as well. Pilgrim, who has taught at Wenonah for 29 years, knows the impact of culinary arts. Pilgrim’s students get that sense of fellowship in class. Pilgrim surprised Townes with a birthday cake as they celebrated the senior’s 18th birthday. “It’s deeper than just cooking with her,” said Townes.